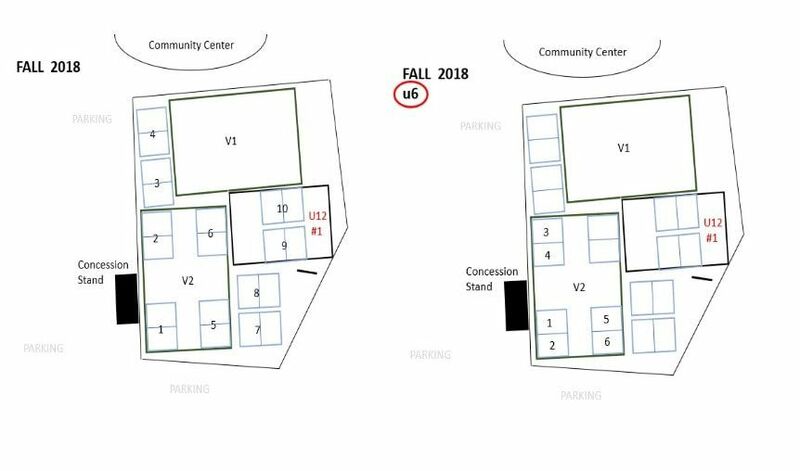 7/21/18 - Hampton Soccer Club Announces Baseline Concussion Testing Opportunity. HSC encourages your 10-year-old and older player to have baseline concussion testing. Baseline tests are used to assess an athlete’s balance and brain function. Results from baseline tests conducted prior to the season can be used and compared to a similar exam conducted during the season if an athlete has a suspected concussion. Comparison of the exams can identify the effects of an injury and making more informed return to school and play decisions. HSC strongly encourages you to take advantage of baseline testing, as it is a very inexpensive and efficient way to provide for a better recovery if your child would suffer from a concussion. Deadline - August 1, 2018. Instructions: Bring glasses and contacts. Test Validity: The test is good for two years (unless there is a concussion). To Conduct Test: Email Kevin Kostko, the Hampton School District Athletic Trainer, at Kevin.kotsko@ahn.org to schedule an appointment date and time, and for any additional questions. Do you have soccer equipment that is getting bored collecting dust in your closet? Did your child outgrow his/her cleats mid-way through the season? Re-energize your equipment, or at least clear out the space by participating in HSC’s equipment exchange program. Our kids grow so fast that they often grow out of their shoes and uniforms long before they wear out. We are collecting shoes, shorts, socks, shin guards and soccer balls for all age groups and U-6 and U-8 jerseys only. In turn, we will make them available at our equipment swap. We are asking that anyone who has clean, used, but usable soccer equipment, to please bring these items to our equipment swap. 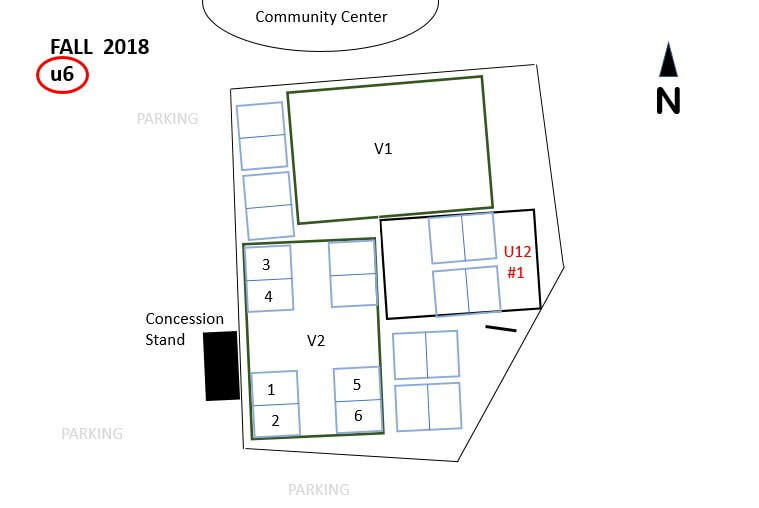 Anyone who needs soccer equipment may pick up items at the exchange table, free of charge. We ask that donated items be as clean as possible and should be in usable condition. Matching shoes should be laced together so they can be identified easily. 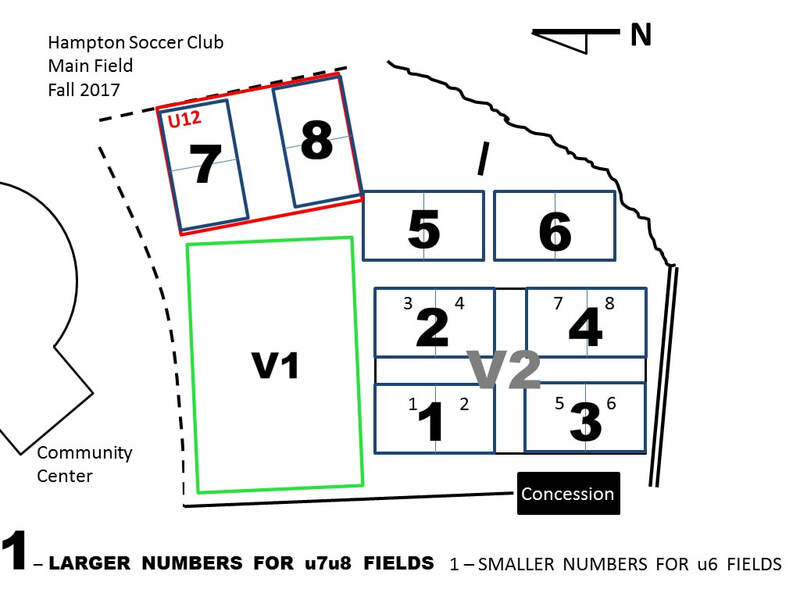 For the Fall 2017 Season, the Hampton Soccer Club will have the Equipment Swap table set up at the main soccer fields. Please feel free to drop off any equipment and even swap for some “new” equipment. We look forward to meeting your child for the Fall 2017 soccer season. Games will begin on Saturday, September 9, 2017, and you should be hearing from your players’ coach between the end of August and beginning of September. 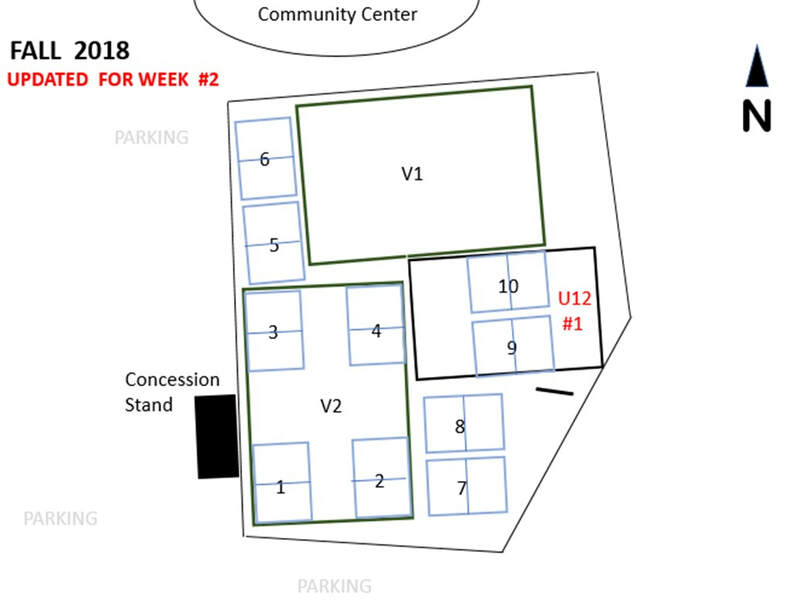 There will be a voluntary skills program for U7/U8 players, the details of which are still being determined, but will be communicated through the coaches. Saturdays at the main soccer fields arriving at 9:00 with games beginning promptly at 9:15 a.m.
Saturdays at the main soccer fields at 10:30 a.m. For these youngest players, Saturdays consist of a one-hour session involving a ½ hour of skills/soccer-related activities, followed by small-sided games (3v3 or 4v4). FOR THE SAFETY OF THE PLAYERS, JEWELRY IS NOT PERMITTED. IF PLAYERS HAVE NEW EAR PIERCINGS, PLASTIC EARRING RETAINERS ARE PERMITTED.